Our Key Stage 1 Art and Craft Club have been busy creating a floral train exhibit for the Shrewsbury Flower Show. 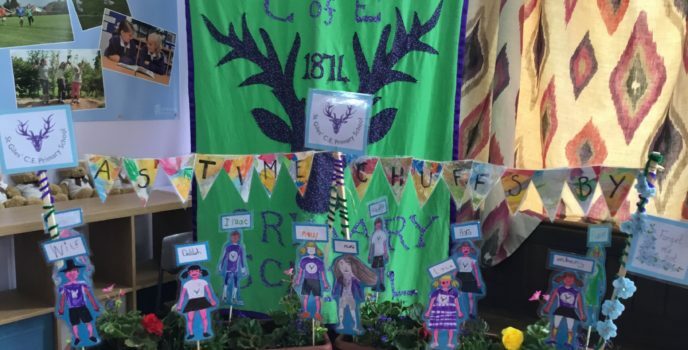 The theme for this year is ‘As Time Goes By..’, and their creation will be on display at the show along with other exhibits from other Primary Schools. On Tuesday we held an open afternoon for all of our current parents and children, and it was lovely to see so many of you enjoying a picnic too! Lots of our parents presented Mr Evans with a lovely gift, cake and card. 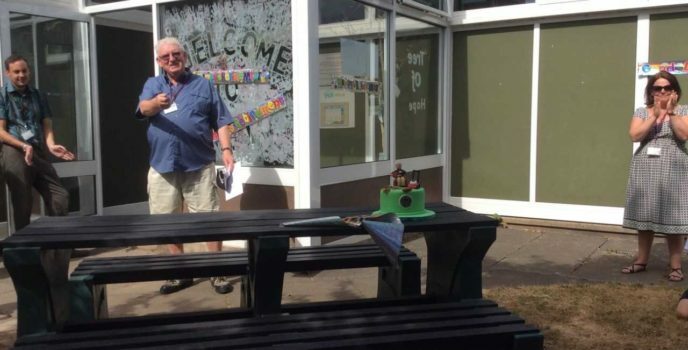 We all wish you a very Happy Retirement Mr Evans! 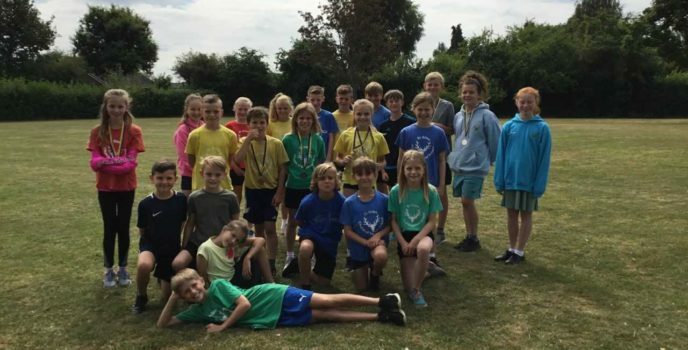 Congratulations to all of the children that represented the school in the Area Athletics competition. St Giles’ won again this year! A thoroughly enjoyable event, and it was lovely to see so many parents, staff and children supporting at the event.